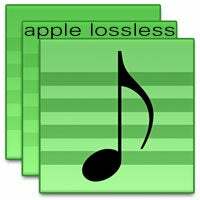 Apple Lossless On the Way to iTunes? Although some of us here at Gizmodo are near-deaf from spending way too much time in musical environments exceeding 130dB, we're still happy to hear the rumor that Apple will soon distribute tracks compressed in its Apple Lossless compression format on the iTunes Music Store. Audiophiles rejoice, because those rumors just might be true. In a private release of iTunes Producer 1.4, the application used by record companies to compress music for submission to the iTunes music store, the software is newly capable of encoding music using the Apple Lossless format. This is a really good thing, because heck, even with our addled ears, we don't much like the sound of Apple's Advanced Audio Coding (AAC) format.